Rapper Lil Wayne apparently suffered multiple seizures on Monday afternoon, forcing his plane to make an emergency landing. As of 5:28 p.m. 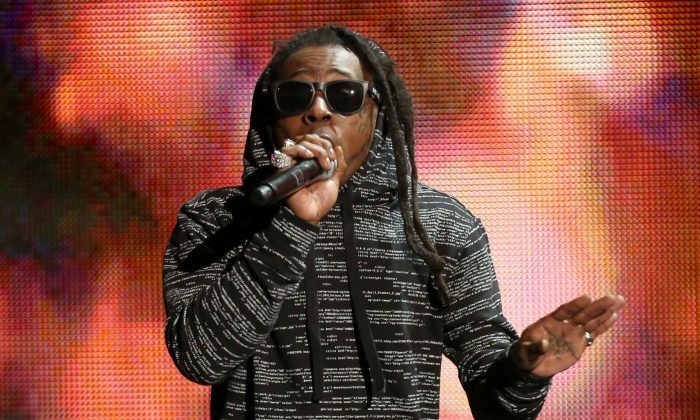 ET, Wayne was transported to a hospital, reported TMZ. Wayne was flying from Milwaukee to California when the first seizure hit, and he reportedly blacked out and a pilot carried out an emergency landing in Omaha, Nebraska. Wayne regained consciousness by the time the plane landed. However, Wayne, born Dwayne Carter, refused medical treatment. Shortly after that, he suffered another seizure and the plane had to make an emergency landing, TMZ reported. On his social media pages, neither Wayne or a representative have confirmed the medical emergency. The New Orleans rapper has previously spoken of suffering from epilepsy his entire life. He said that he’s suffered attacks on his work schedule. “I’m an epileptic, so I’m prone to seizures,” Wayne, 33, told Los Angeles radio station Power 106 in 2013. Epilepsy doesn’t have a singular, identifiable cause in around half of those with the condition, but for others, head trauma, certain brain conditions, genetics, certain diseases, developmental disorders, and prenatal injury factor into the illness.